There is not much color around the edge of the marsh right now. All of the reeds have turned brown and most have fallen over. 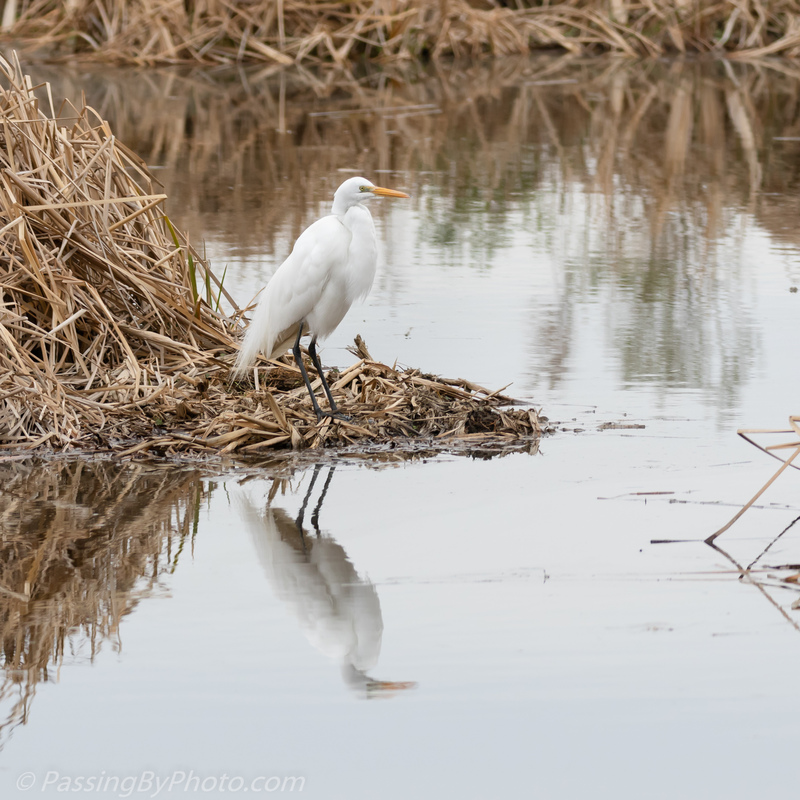 A Great Egret struck a nice pose in the middle of this drab scene. The bird certainly dresses up the surroundings! Very nice. Thanks, Belinda! I’ve been thinking of you as we read of the brutal polar vortex and knowing you aren’t getting out much, if at all for photography.